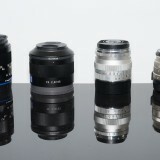 During testing of three Zeiss 85mm lenses – http://www.verybiglobo.com/zeiss-milvus-851-4-vs-zeiss-otus-851-4-vs-zeiss-planar-851-4-comparative-lens-review-2/2/ we spent some time with their 50(55)mm versions too. Large portion of our findings from already mentioned – 85mm review, can be simply copy pasted here, with exception of Milvus 55/1.4 bokeh, which does show some onion ring effect, because it have aspherical element in its optical design (unlike its 85 counterpart). Before we start with the review, we’d like to write few words about lens testing in general. If you don’t want to read it, just go to the 2nd. page in the above navigator. 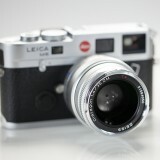 regarding the manual focusing. I recently tried the Zeiss 85mm f/1.4 Milvus with the new D5 and I think that the the smaller focus points may make it possible to manual focus with the lens. Unfortunately, I did have a few issues, for some reason the focus point wasn’t visible for some reason on the D5, when manually focusing, I was told that the camera didn’t have release firmware. But when I reviewed the shot, it did show where the focus point was placed and the image did look sharp. So fingers crossed it is a big improvement. Great, let us know how it works for you at full opened aperture, once you manage to fine tune it. 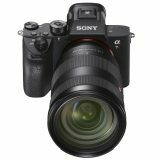 I don’t own the D5, so it might be a while, I do want to try it with the D500, to see if the camera will manual focus accurately with the added pixel density of the camera, which will be closer to a D820 (I am guessing it will have more than 36mp). Where would you put the Zeiss 50mm makro-planar in this equation of Milvus, Otys and classic planar? I see you have done a review of macro 50mm lenses but I believe the classic makro-planar belongs here due to f2 speed and focal length. 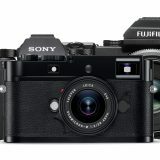 Personally I’m impressed that a planar design performs so well wide open at f2 but I don’t know how it compares to the new Milvus. The Otus, I know what to expect as I have 135mm f2 APO. I haven’t compare macro lenses directly, I reviewed Milvus 50/14 and compared it with Otus 55 and Classic Planar 50. Macro Planar 50/2 was optimized for the short distances where it achieves very good resolution figures in the center of the frame. As a most macro lenses it has rather flat focus field and very long focus thread. I don’t know where I will put it in the above mentioned comparison, because I didn’t test it for other usage than product shots (mainly short working distances). I am very happy with the lens for that type of work. Thank you for your reply. I guess it’s apples to oranges in a way. 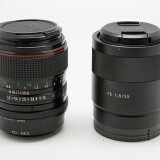 People used to compare makro-planar to the f1.4 classic back when there were only two Zeiss 50mm lenses. 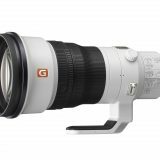 Nowadays it’s 4 50mm lenses from Zeiss alone not to mention the offerings from third parties such as Tamron Sigma and Nikon already has more than 10 lenses in the 50mm range. So far I’m happy with 50mm f2 zf as a general purpose lens. 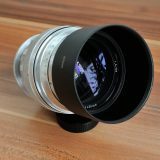 Zeiss 25mm f2 is slightly superior with off center resolution and coma (but it is a distagon that has aspherical and anamalous elements ). The 25mm f2 is then trashed by 135mm f2 APO if I attempt a technical comparison and go off-focus and off-axis. Hi Viktor, so I finally got to test the 85 milvus vs. the loxia side by side. I can’t tell you which is sharper. 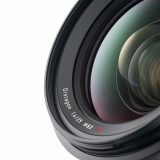 What I can tell you is that I purchased milvus 85 and it’s on its way – what a gorgeous lens! Anyway, I’m also thinking of picking up the milvus 50. I understand its optical pros/cons about as well as I can based off your literature/testing (please keep up the great work! ), and others. What I’m curious about is the feel of the focus on the milvus 50. I was concerned about the stiffness on 85 before I got it, but it does not bother me. Is the 50 focus stiffer than the 85? sorry for the late reply. Congrats on your new lens, Milvus 50 has same focus stiffness as 85, don’t worry. Actually Zeiss lenses aren’t that hard to nail focus with. You need to train first but after that it’s a lot easier. 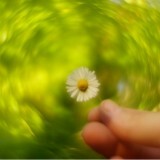 Don’t trust the red focus point blink, instead look for focus/ae lock in the camera viewfinder. 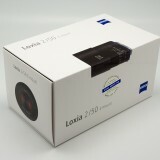 Next story Zeiss Batis 18/2.8 on the way!